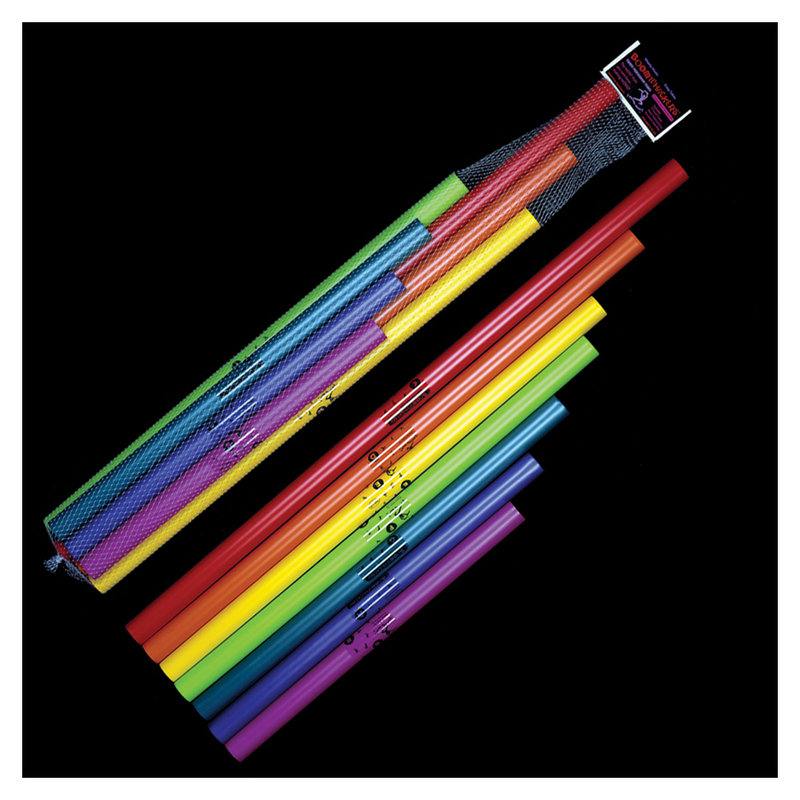 Boomwhackers® are brightly colored musical tubes that have won many awards including Best 25 of 25 Years from Parents’ Choice. They are a favorite of music educators around the world and are also used by professional musicians, in teambuilding, in music therapy and more! The bass tubes add a whole new dimension to the sound and musical possibilities. Combine with the standard Diatonic Set to form two full octaves. Tubes range in length from approx 26” to 4’.